Does it seem like life has knocked you down? Have you experienced a setback? 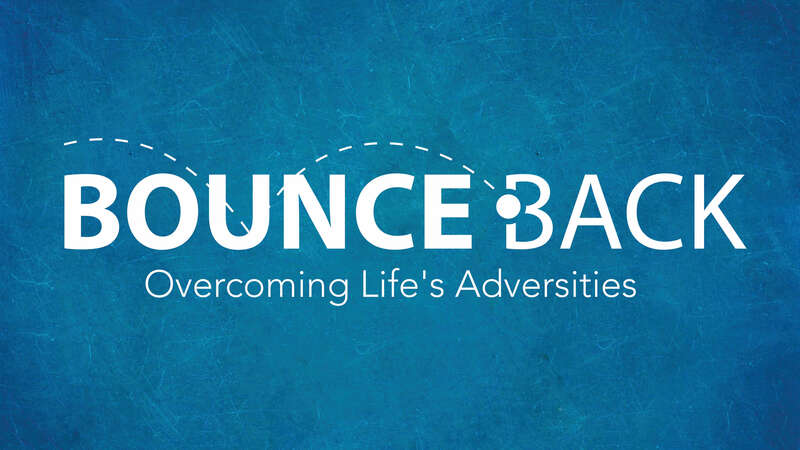 If so, join us as we discover how to bounce back! In this class we will discover the skills that are necessary to recover from the punches of life. Resilience to me is bouncing back with more vigor and enthusiasm than before the fall, when Satan and this world knock us down. Our resilience displays our Faith in Jesus to get us (me) through whatever the world sends our way. When we feel defeated and overwhelmed emotionally, physically, and spiritually, we are giving into the ways of this world (which we are told not to conform to the ways of the world) – our feeling of defeat actually displays a lack of Faith that God can’t handle our issues. Resiliency in the Christian life helps create a life full of love-filled, optimistic life with healthy relationships, because the MOST important relationship we can have is with Jesus – if we have that, then we can build the remaining relationships and show others Christ’s love through us. (Being the Church – living the example) We know that He has our back and is looking out for us – He wants us to succeed and prosper, we are to have resiliency through Faith and we will persevere even through the trials and tribulations because that’s what Christ did for us,,, if HE can die for us, then we should live for Him.